The liver is a vital organ. That means your dog can’t live without it. Yet a staggering number of dogs suffer from liver disease, affecting not just their overall wellbeing, but their survival. Your dog is exposed to toxins from his vaccinations and other drugs, flea, tick and heartworm preventatives, poor quality foods, the cleaning products you use in your home, as well as fertilizers and pesticides outside his home. Even if you don’t use these products, your neighbors probably do. Eliminating these chemicals and using natural, non-toxic alternatives is an important first step to protect your dog’s liver. The second step is recognizing when your dog’s liver may be out of balance. Let’s talk about the signs of liver imbalance and the steps you can take to help … but first, let’s look at some of the things the liver does. Most of us think of the liver as the detox organ because it helps remove toxins from the body. But it does much, much more than that. The liver has at least 500 different functions in the body, so it’s so critical to good health. In Traditional Chinese Medicine, the liver is known as the Official of Strategic Planning because it’s in charge of so many operations. One of the liver’s many important functions is to produce bile. Bile is stored in the gallbladder and is used to digest foods, especially fats. Bile also helps your dog’s body eliminate toxins by carrying waste products through the body so the liver can detoxify them. The liver produces glucose, which it stores in the form of glycogen, ready to be used when the body needs it for energy. The liver makes cholesterol, which the body needs to produce hormones and metabolize fats. The liver produces proteins that are important in blood clotting. It stores vitamins A, D, K, B12 as well as the minerals iron and copper, and releases them into your dog’s body when they’re needed. And of course, the liver is vitally important in gently detoxifying natural metabolic wastes from the body. Your dog may be irritable or even show aggressive behavior. He may show overly controlling behavior, acting like a hall monitor. He may experience digestive disorders such as gas and bloating … even if he’s on a healthy raw food diet. You may see alternating constipation and diarrhea. When you trim his toenails, you may find they’re dry and brittle; the nails may fray or even get infected. We don’t think of dogs as getting headaches, but they can. You may notice your dog’s eyes are dull and he doesn’t feel good, perhaps lying with his head on his paws. If you can feel heat on his head, that can mean a headache, especially if you see other symptoms of liver imbalance. 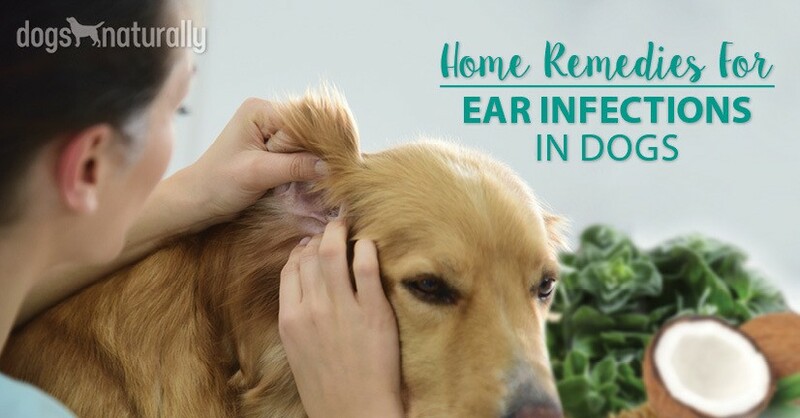 Gently rub the area where the head meets the neck (called the occiput); if you feel the heat go away that can help relieve your dog’s headache. Eye issues like a discharge or pink eye, and even more serious eye problems like corneal or retinal disorders, can also suggest liver imbalance. Other signs that the liver is out of balance can be sinus problems as well as ligament and tendon issues. If you start to notice any of these symptoms in your dog, it’s a good idea to add some foods that can help strengthen and protect his liver. Many of the foods that support the liver are seasonal in the spring. In Traditional Chinese Medicine, the liver is associated with spring – a time of renewal and growth. This means spring is an especially good time to give your dog some extra nutritional support with foods that are fresh and in season. Below are some herbs and foods recommended by homeopathic veterinarian Dee Blanco DVM to help strengthen and protect your dog’s liver from liver disease. Don’t get rid of those dandelions in your yard! Dandelions are a great way to strengthen your dog’s liver. As they start to come up in spring, pick some of the young leaves. Try to harvest the leaves in early spring before the plant buds; once the buds appear the leaves will taste bitter. Dr Blanco suggests just chopping a few fresh leaves and adding them to your dog’s food. Herbalists Gregory L Tilford and Mary L Wulff recommend drying the leaves before using them. You can do this outdoors by placing the leaves on a drying screen (or use a window screen covered with cheesecloth) in the shade (do not place in direct sunlight), for three or four days. If you want to dry the leaves indoors, tie them in a bundle and hang them in a dry airy spot until they’re crackly-dry. Feed your dog 1 teaspoon of the dried herb daily per 20 lbs of your dog’s body weight, stirring it into your dog’s food. You can also make a tea, using 1 teaspoon of dried leaf in 1 cup of boiling water. Steep it for 3 to 4 minutes, then strain, and let it cool before giving it to your dog. Or you can use organic unsalted meat or vegetable broth instead of water to make a tastier drink for your dog. Give 1/3 cup of tea per 20 lbs of body weight up to 3 times a day. Caution: Only use dandelions from your yard if you don’t spray pesticides or herbicides. Otherwise, you can buy fresh dandelion leaves, dried herbs, tinctures and teas at many health food stores. Read more about the health and nutritional benefits of dandelion. In general, raw foods support the liver and help it cleanse. 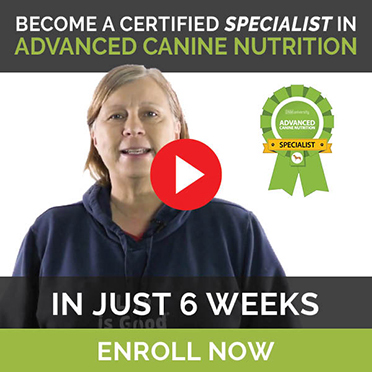 Feeding your dog a fresh, raw diet is always the best diet to give him a solid foundation for his overall wellbeing. Sprouts like clover, alfalfa or radish. Lemon and apple cider vinegar: your dog may not like the taste of lemon but many will tolerate a few drops of apple cider vinegar added daily to their water. Greens, especially spring vegetables like spinach, broccoli rabe, celery or asparagus. Greens help support the detox mechanisms in the liver. Give them to your dog any way he likes them – chopped, pureed, steamed, mashed, or even with a little butter! Liver: eating liver supports liver health, so feed chicken, beef or lamb liver. If you can, buy organic liver from, grass fed, naturally raised animals. Dairy foods like yogurt, sour cream, butter and cream, preferably from pasture raised animals. Fermented foods like kefir or fermented vegetables. Dr Dee Blanco also recommends some other spring activities to help keep your dog’s liver in good health. Walking your dog and getting out in nature is one of the best ways to enjoy time with your dog. Brisk walks, especially in the morning, will stimulate his liver and gallbladder health. You can also give your dog a detox bath to help him shed his winter coat in the spring (although any time is a great time). This will help to open up the pores to release toxins on the skin, in the hair and in his blood. Here’s how to give your dog a detox bath. If bath times are stressful for your dog however, try giving him some Rescue Remedy or a calming flower essence like passion flower (passiflora). You might need some yourself too! Before you get your dog in the tub, prepare your rinse. Mix ¼ cup of apple cider vinegar (ACV) to one gallon of water (you may need more than one gallon for a large dog). Set it aside while you shampoo your dog. It’s a good idea to use a coconut based shampoo that doesn’t contain toxic ingredients (read more about what ingredients to avoid). Dilute the shampoo 50:50 with water and lather up your dog. Now the important part: gently massage him all over to help stimulate the release of toxins, which come to the skin’s surface through the capillary endings. Giving him this relaxing spa treatment may also help him enjoy his bath more than usual! When you’re done, rinse your dog thoroughly with clean water. If you have fluoridated or chlorinated water, it’s a really good idea to install a filter on your water system to remove these toxic chemicals from your water. Fluoride can harm your dog, even if he’s just bathing in it. Next, it’s time for your ACV rinse. Gently pour the rinse over him, massaging under his body, around his armpits and legs. Don’t rinse it off (even though he’ll smell like a salad until he dries off). Just towel him off and let him air dry. 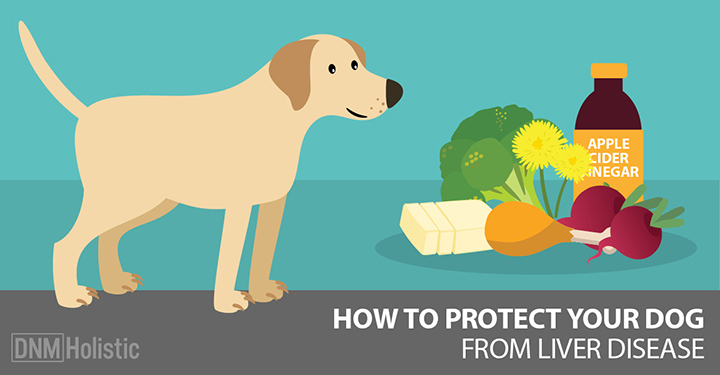 With a little effort, you can protect your dog’s liver so it can continue protecting him. Try these tips and watch your dog glow with good health, inside and out!